Somehow, the holidays have turned into a season of stress, traffic jams, and shopping lists. And when it's all over, many of us are left with presents to return, looming debt that will take months to pay off, and this empty feeling of missed purpose. Is this what we really want? We like gifts. Our kids and spouses really like gifts. But consider this: America spends an average of $450 billion a year every holiday season. What if some of that money that we spend on gifts we don't really want and don't really need, what if that money also went straight to cutting-edge research and clinical trials for kids battling cancer (like neuroblastoma) for which they have no current hope for a cure? 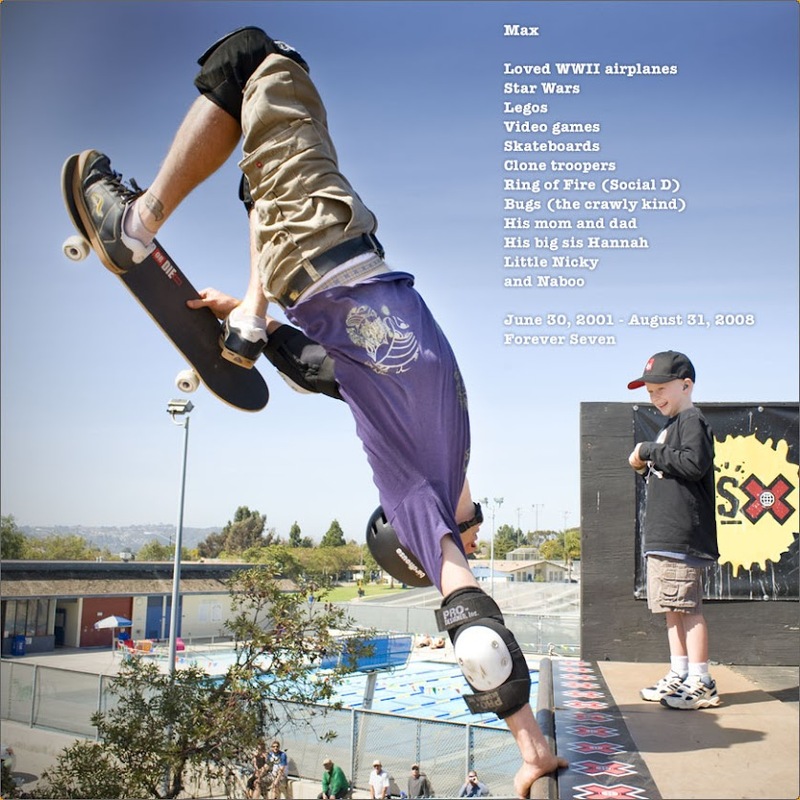 You can find great gifts and support pediatric cancer research and clinical trials that take place right here in San Diego but also around the country, when you visit and place a bid for an item at MaxsGarageSale.com. It's an eBay Giving Works program that we are a part of, and the concept is simple. Bid on an item, and 100% of the winning bid goes to Max's Ring of Fire, Inc., and 100% of the income we receive from donations goes to fund research and clinical trials. Not a single penny that Max's Ring of Fire collects is spent on marketing, web hosting, salaries, travel, meetings, cost of fundraisers, etc. eBay allows for anywhere from 10-100% of the final winning bid to go to the charity but all the items at Max's Garage Sale were donated to Max's Ring of Fire, and so we can control the percentage, and that percentage is 100%. Here's just an example of what's up for auction right now. Of course, we'll be adding more items too. The auction is going to run through the end of year, give or take a few days. Then, if this proves to be a successful way to raise money, we'll maybe do a special Valentine's Day auction. One more thing.. if you have something you'd like to sell on eBay, you can simply list it yourself and designate Max's Ring of Fire as the beneficiary.